I recently added some brass sconces to my second baby’s nursery design, and I can’t wait to get them up on her wall. They will go on the same wall as the crib, flanking the artwork to be hung over the bed, and I think they'll add so much to that side of the room. Because I didn’t want to add one more thing to our growing nursery to do list (you’re welcome, Jon:) ), I opted for some a plug-in option. In this case, the cord is clear and won’t be very visible on the white board and batten that we have on the lower half of the room. After a few wall anchors and screws, they will be up and running! But if for some reason they don't work out in the nursery, they can easily be moved to another room in the house—the office, the guest room, etc. That’s another great thing about a plug-in option as opposed to a hardwired, they are much more movable down the road if you want to change things up. 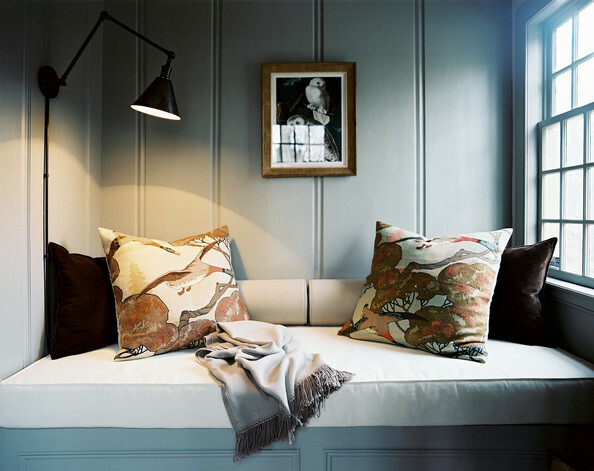 I’ve long been a fan of sconces and think they always look so charming in a nursery or bedroom. They offer a variant level of lighting in the room, aside from ceiling and table lamps, and they adorn the wall like pretty little earrings finishing off a beautiful outfit. The kind I wanted to purchase from Pottery Barn is unfortunately now sold out (I was lucky enough to find a pair on eBay). But if you have the desire to add some "earrings" to one of your rooms, here is a round-up of some more great options. They are all in various styles and finishes to help you find just the look you’d want. I kept things pretty reasonable in the price category, with ranges from $45-170. Not too bad for adding such a statement to a room!